Milton Parent, an indefatigable community builder and Nakusp’s foremost historian, has died at 77. For more than 25 years, Parent and his wife Rosemarie were the driving forces behind the Arrow Lakes Historical Society. He wrote seven books, including a history of the Lardeau region that earned him the 2001 Lieutenant-Governor’s medal for historical writing. 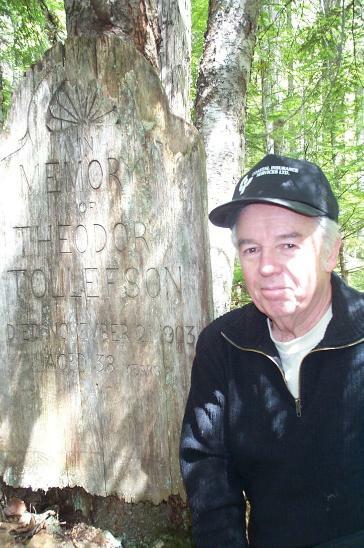 Parent’s West Kootenay roots ran deep on both sides of his family. His maternal grandparents, the Leveques, moved here in 1911 from St. Boniface, Manitoba, while his paternal side came from Quebec in 1896. His father Joseph was Nakusp’s founding mayor. Born and raised here, Parent married his high school sweetheart, and then moved to the Lower Mainland in 1954, where they remained for over 30 years and raised a family. He worked in Burnaby for saw manufacturer Spear and Jackson for 28 years. Upon taking early retirement in 1984, he and Rosemarie returned to Nakusp, where he was soon elected president of the new Arrow Lakes Historical Society. They reorganized and revitalized the museum, and then in 1998 devoted themselves exclusively to the archives, securing a space in the BC Hydro building. Parent also wrote thick, hard-cover books about local history, drawing on more than 400 taped interviews he conducted with Arrow Lakes pioneers dating back to 1971. Collectively they form a comprehensive chronicle of the region: Faces of the Past, Silent Shores and Sunken Ships, Port of Nakusp, Bugles on Broadway, Halcyon: The Captain’s Paradise, Caulkboot Riverdance, and Circle of Silver. The latter earned him the Lieutenant-Governor’s medal from the BC Historical Federation. In a 2003 interview with the Arrow Lakes News, he said it was also his favourite. “I enjoyed that book more than anything because there’s some kind of lore with the old prospectors,” he said. It was written with the help of Edna Daney, who lived in the Lardeau for over 50 years. Most of the books sold out of their initial runs and have since been reprinted. Parent was often called upon by researchers to share his vast knowledge of the area, and he was rarely stumped. An entire wall of his basement office was devoted to binders filled with prints and about 10,000 negatives. In recent years Parent and his wife have been at the forefront of efforts to raise money for an addition to the centennial building that would house the archives. He attended school in the building and it would be fitting if the addition is named after him. Parent was also a musician. As a boy he was in Jack Bailey’s famous bugle band, and as an adult, he played trumpet, saxophone, vibes, piano, and sang at dances. For several years he sat on the executive of the Nakusp Music Festival, and as recently as Canada Day performed with a rube band, formed only a couple of months before. They dressed in crazy costumes and marched in the parade. The Parents were named Nakusp’s 2006 citizens of the year in the lifetime achievement category. 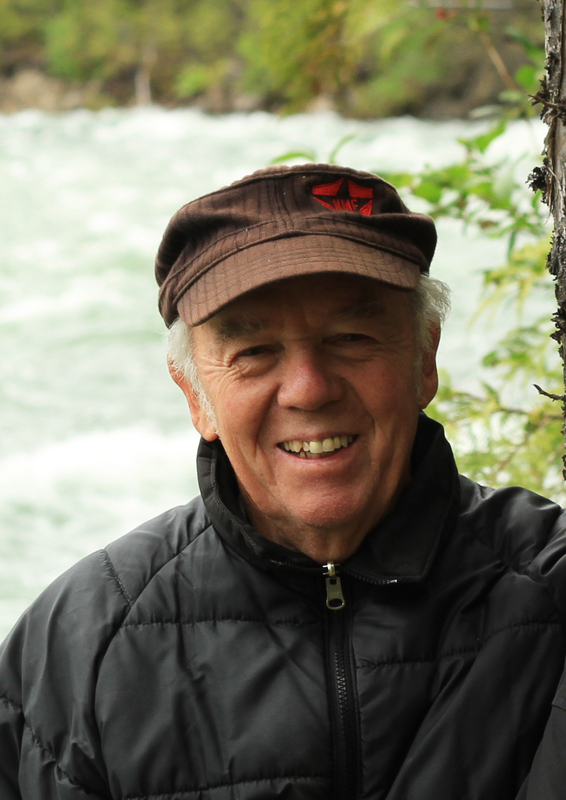 Milton, who would have turned 78 this month, passed away suddenly on July 8 in hospital in Kelowna after suffering a heart attack and stroke. He is survived by Rosemarie, his wife of almost 58 years, as well as four children, nine grandchildren, a brother and two sisters. A memorial service is planned for July 25 at 2 p.m. at the auditorium. In lieu of flowers, the family has asked for donations to the Raise the Roof Club for the addition to the centennial building.